He wants pizza joints and bars on Mars. 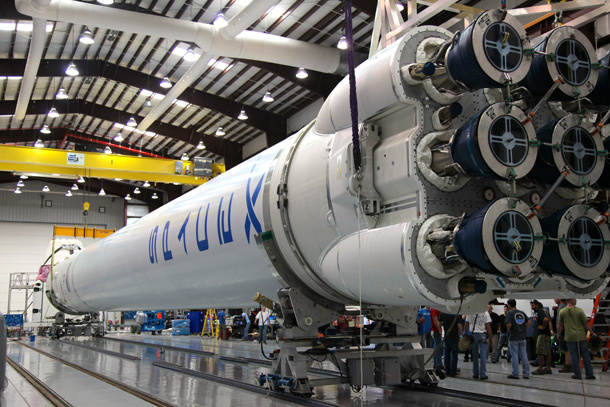 Elon Musk is optimistic that next year SpaceX’s first interplanetary shuttle will take flight. During a Q&A event at South by Southwest today, Musk answered several questions regarding Mars, from how would a colony would govern itself to what kind of businesses he’d like to see on the red planet. (Yes, he really wants a Mars bar.) As for the timeline of when interplanetary travel may happen, he didn’t delay with an answer. He expects the ship to be capable of moving 150 metric tons into orbit with double the amount for the payload. As expected, the ship and the rockets will be reusable, which he explained will reduce the cost per flight dramatically. Once the ship is built, he hopes other countries and companies will now have proof that space travel is viable so they can “up their game.” When interplanetary travel becomes available, he believes that will open up many entrepreneurial opportunities including some Mars entertainment. Once a colony makes it to Mars, Musk suggested that the people govern themselves as a direct democracy with laws that have fewer words than The Lord of the Rings. The laws should also have a sunset clause or at least be easier to remove than to pass. Last month, SpaceX launched its Falcon Heavy rocket putting the company ahead of schedule.